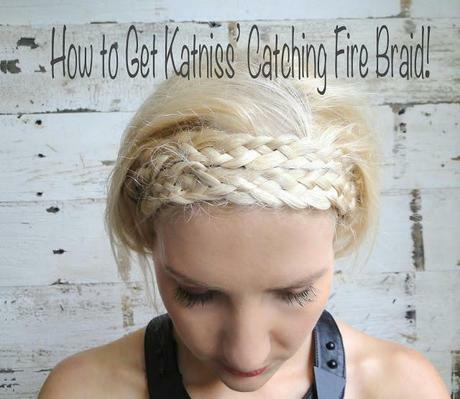 Hunger Games: Catching Fire Hair How-To! I know we're all still struggling with the news that Jennifer Lawrence cropped her hair to a pixie cut but with the Hunger Games: Catching Fire hitting theaters in a few weeks I thought it would be a great time to share how to get Katniss' braid! 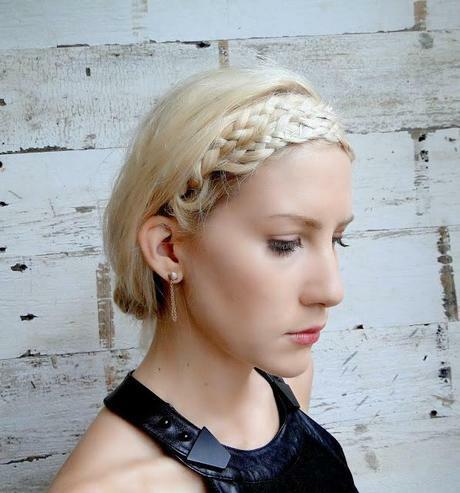 The lovely Graziella Lembo of SalonCapri Boston interpreted Katniss' Victory Tour style as a nine strand crown braid! To get the crown braid, start by taking one large section of hair on each side of the head above the ear and braid using four strands. Secure each end using clear elastics. Then fold each braid up and over your head like a headband, securing each end behind the opposite ear with bobby pins. (I like using pins that match my hair color like Goody's ColorCollection Wavy Bobby Pins.) You can leave the rest of your hair down or go for the full look by pulling leftover hair into a messy bun. Shu Uemura Volume Maker Invisible Texturizing Powder. In honor of Catching Fire's premiere, Showcase Cinemas is hosting an ultimate Hunger Games party on November 21st and 22nd! SalonCapri stylists will be doing complimentary dry styles from Catching Fire, Hunger Games themed cocktails, like the Prim Rose Martini before and during the screening. The event is happening at SuperLux in Chestnut Hill and the Cinema de Lux at Legacy Place but keep in mind that the screenings on Thursday Nov. 21st are strictly 21+ while all ages are invited to the event on Friday. Tickets are limited and going fast! For more information visit Showcase Cinemas!